The Salt Lake Tribune asked, and readers delivered. Over the past several weeks, Tribune reporters have been calling attention to the state of Salt Lake City’s flag. Taylor Anderson detailed the history of the current flag — adopted in 2006 after a contentious redesign effort — and recent talk of a makeover. Then, the “Trib Talk” podcast hosted a discussion on flag design, based on guidelines established by the North American Vexillological Association. After that, it was our readers’ turn. 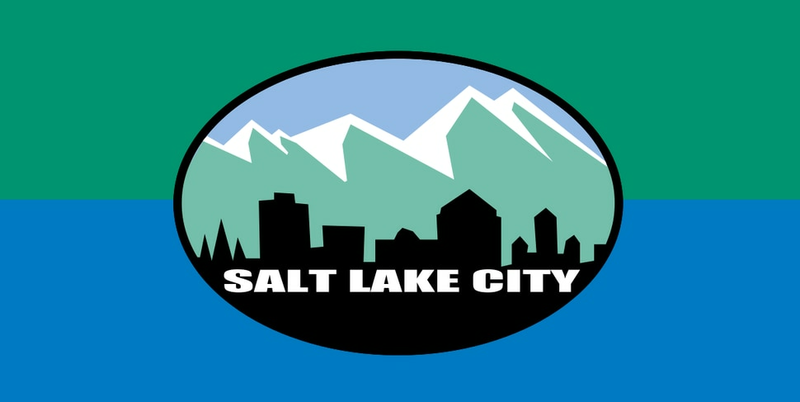 “Trib Talk” asked for submissions of new Salt Lake City flag designs for a friendly contest. The winner will receive a Salt Lake Tribune mug and bragging rights, and his or her flag will be promoted by “Trib Talk” on its social media accounts. See the finalists and semifinalists below, and check @TribTalk on Twitter on Monday to vote on a champion and see the winning design. One of the last submissions sent in for the contest, this design by “the Merrill Family” quickly won over the Tribune staff. It depicts Utah’s capital city between the Wasatch Mountains and the Great Salt Lake, with additional snow-white elements for the state’s world-renowned powder. The gold star, according to the Merrills, is also a nod to the city’s hosting of the 2002 Winter Olympics. (Courtesy of the Merrill Family) A proposed Salt Lake City flag designed by the Merrill Family. 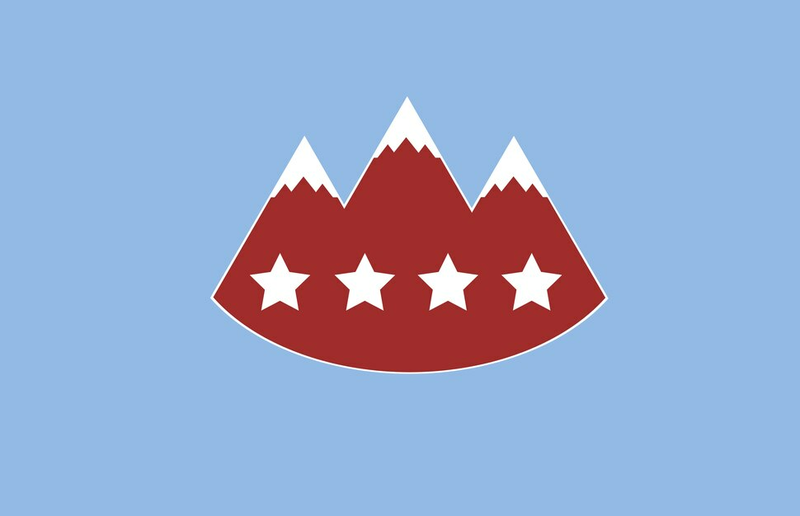 Designed by Amie Annsa, this flag shows three snow-capped mountain peaks behind a row of four white stars and bordered by a light blue background. 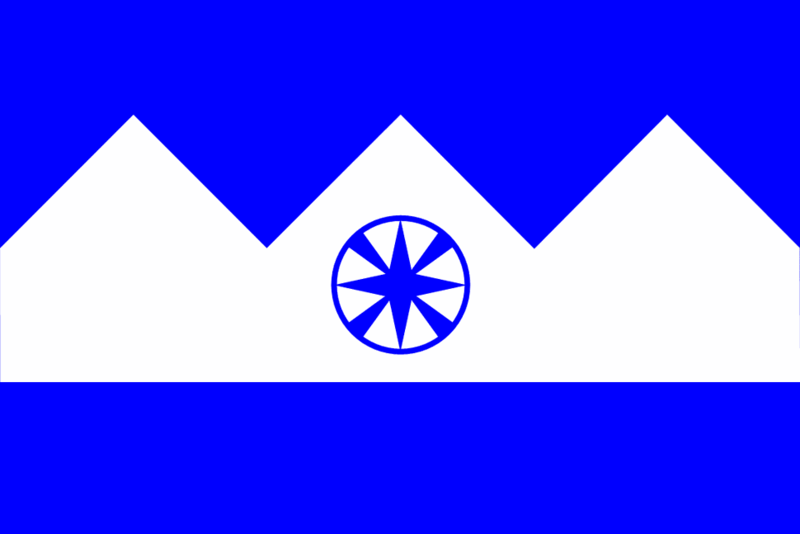 In her submission, Annsa wrote that the stars stand for the Shoshone, Paiute, Goshute and Ute tribes that lived in the area before the arrival of white settlers, and the blue background is inspired by the blue skies that help define Salt Lake City as a world-class destination for outdoor recreation. (Courtesy of Amie Annsa) A proposed Salt Lake City flag by Amie Annsa. Daniel Jensen’s design uses red for the University of Utah and Salt Lake City’s sunsets, dark blue for Lake Bonneville, light blue for the Great Salt Lake, white for snow and salt, and gray for the shadows of Lake Bonneville left on the city’s adjacent mountains. The seagull is a reference to the city’s settlement by members of The Church of Jesus Christ of Latter-day Saints, with the form of the Wasatch and Oquirrh mountain ranges in its wings. Its tail is “floating," Jensen wrote, in reference to Antelope Island. A seven-pointed star is also shown, representing the Utes, Paiutes, Shoshones, Goshutes, Mormon settlers, refugees and other migrants to the state, Jensen wrote, to combine the origins and development of the city. “They are all held as equals and elevated over all,” he wrote. 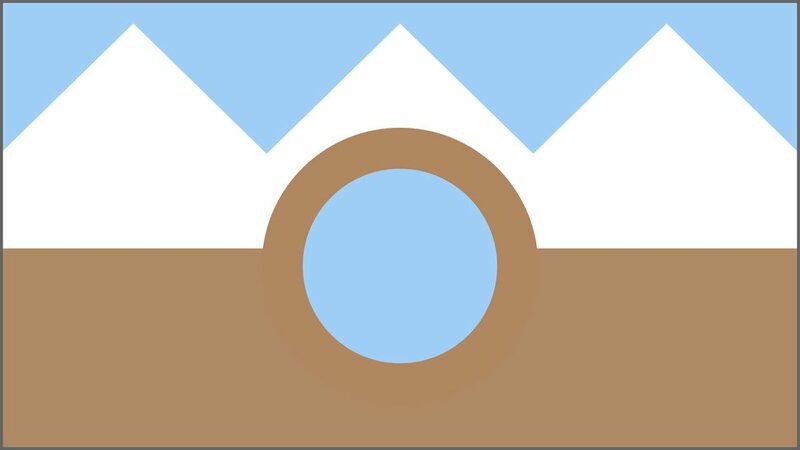 (Courtesy of Daniel Jensen) A proposed Salt Lake City flag designed by Daniel Jensen. David Weber sent in several submissions, all with a similar white, blue and brown theme. This submission, nicknamed “Arch” by The Tribune, shows a blue sky over the snow-white peaks of the Wasatch Front, with the Great Salt Lake at the center ringed by the lakebed of Lake Bonneville. (Courtesy of David Weber) A proposed Salt Lake City flag designed by David Weber. 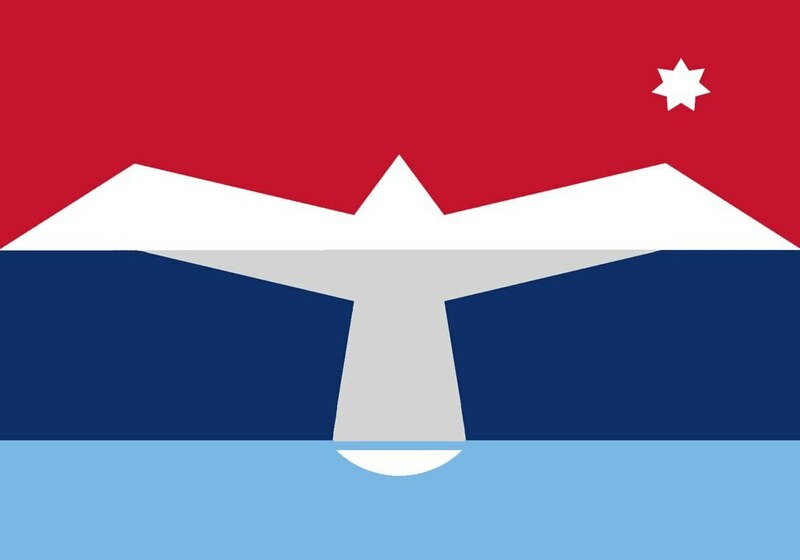 While most of the contest submissions are mock-ups, James Witucki had his design made into an actual flag. It features a bee — a traditional symbol for the state of Utah — surrounded by 13 stars in a green triangular field atop a blue-and-white-striped background. “It’s cool to see someone’s trying to change the flag!" Witucki wrote in his submission. (Courtesy of James Witucki) A proposed Salt Lake City flag designed by James Witucki. Christophe Brosson’s two-tone flag consists of a blue lake, white mountains and a blue sky. At its center is a symbol combining a four-pointed star and a circle, representing Salt Lake City’s status as Utah’s capital and the city’s cardinal-aligned traffic grid. (Courtesy of Christophe Brosson) A proposed Salt Lake City flag designed by Christophe Brosson. 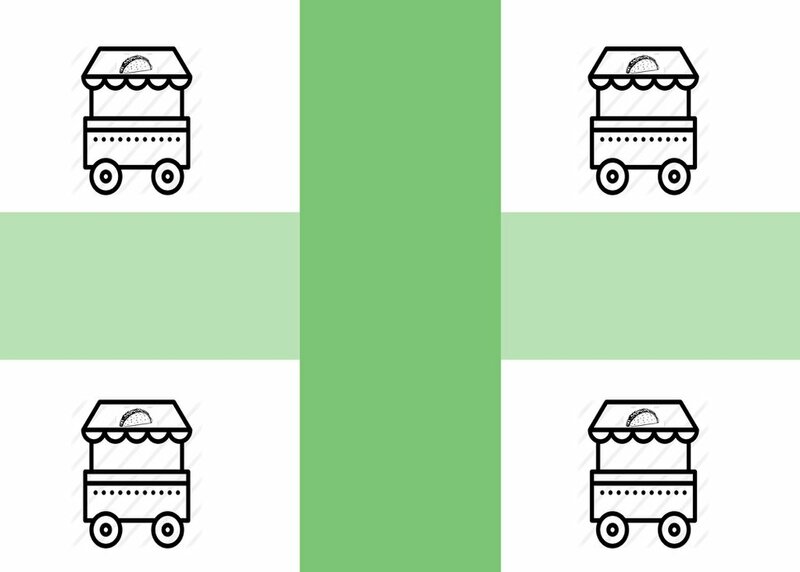 For the contest submission with the most overt symbolism, KUER managing editor Julia Ritchey designed this Salt Lake City flag with intersecting green bars and a taco cart placed in each corner. “The taco carts represent my favorite taco carts in SLC,” Ritchey wrote. 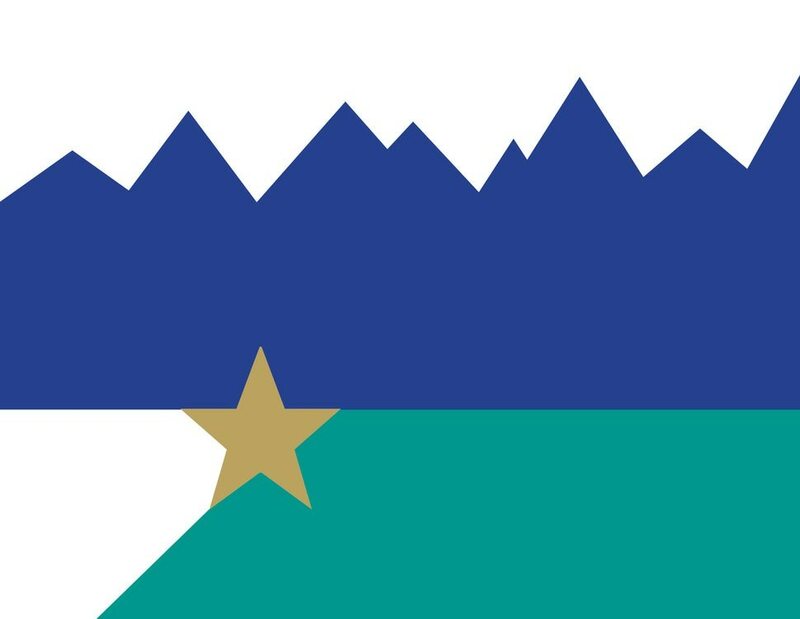 (Courtesy of Julia Ritchey) A proposed Salt Lake City flag designed by Julia Ritchey. 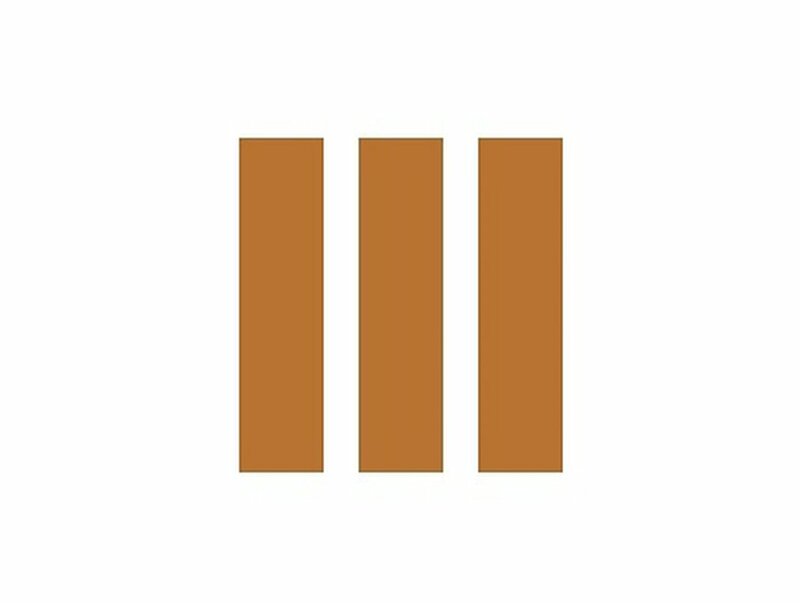 Matthew Stephens submitted this minimalist flag design showing three copper-colored bars at the center of a white flag. He said the vertical bars symbolize the city, inspired by the pillared architecture of the LDS Church’s Salt Lake Temple and the City and County Building, while the white space symbolizes the Great Salt Lake and the snow of the Wasatch Mountains. (Courtesy of Matt Stephens) A proposed Salt Lake City flag designed by Matt Stephens. Unless and until city leaders adopt a new flag, residents will be left with the current design. 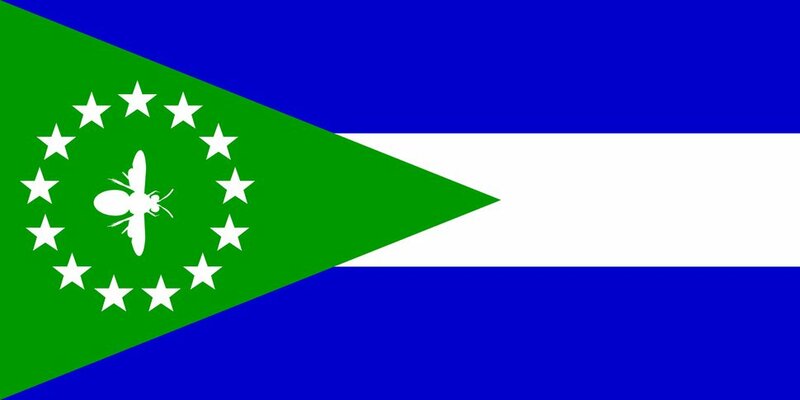 Its six colors and use of text violate vexillographical standards, and despite more than a decade of use, it’s largely unknown to the people who live there. A spokesman for Salt Lake City Mayor Jackie Biskupski told The Tribune that the mayor is not a fan of the current flag. And earlier this month, Biskupski posted on Twitter that the city would be launching a public feedback campaign in the coming week to gauge how residents feel about the flag and their interest in a new design.